In the wake of Jon Jones’ drug suspension ending soon, UFC double champion Daniel Cormier is hoping to get a third shot at Jones. Cormier, who currently holds the UFC heavyweight and light heavyweight titles, spoke to TMZ Sports and stated that not only does he want to fight Jones once more, but wants to do so at light heavyweight, where Cormier was unable to defeat Jones on two occasions. “I want to fight Jones at 205, because that’s where he beat me. He beat me at 205, I want to beat him where he beat me. I think Jon and I are in the same wavelength on that and we are never on the same wavelength, we don’t agree on anything. It’s always going to be intense and we both want to fight at 205,” Cormier said. It was recently announced that Jones’ lengthy drug suspension had been significantly cut down and that he is eligible to return to MMA later this month. Jones could potentially return at UFC 232 against Alexander Gustafsson and there are rumors that Cormier will eventually be stripped of his light heavyweight title only to have Jones and Gustafsson fight for it. When asked about potentially being stripped of the 205-pound title Cormier said he understands why such a move from the UFC could happen, even if he doesn’t agree with it. “I think that’s something that they are going to do. It’s not something that I agree with. I understand the process and that the sport has to move. We’ll see but yeah I’m pretty sure that’s going to happen,” Cormier said. 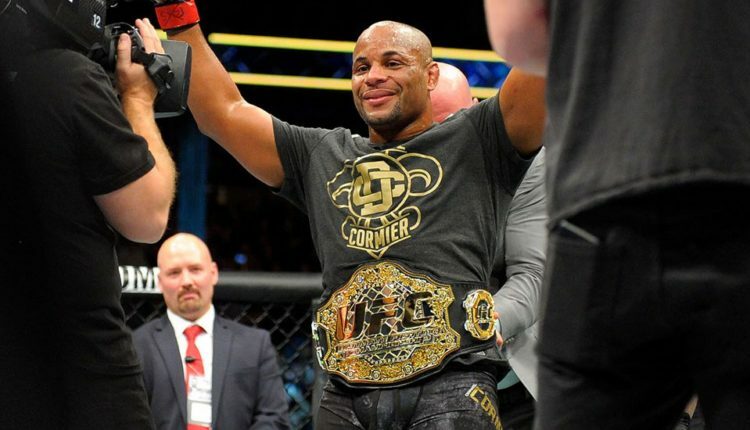 Right now, Cormier is linked to a potential heavyweight title defense against former UFC champion Brock Lesnar in early 2019 and if Cormier can write the end of his MMA career, he said he would fight Lesnar first then end his career with the third fight against Jones.